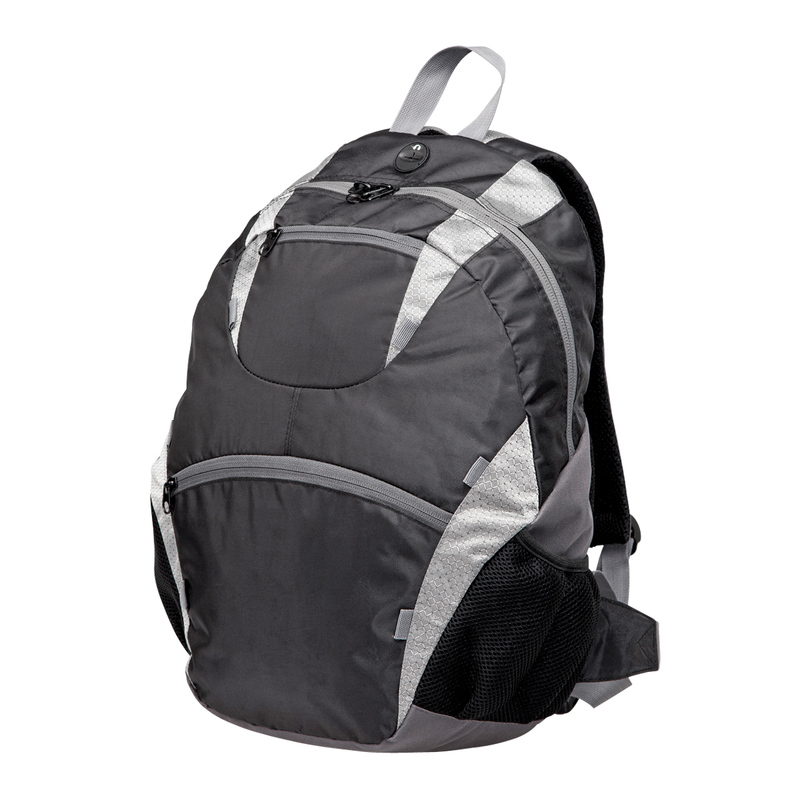 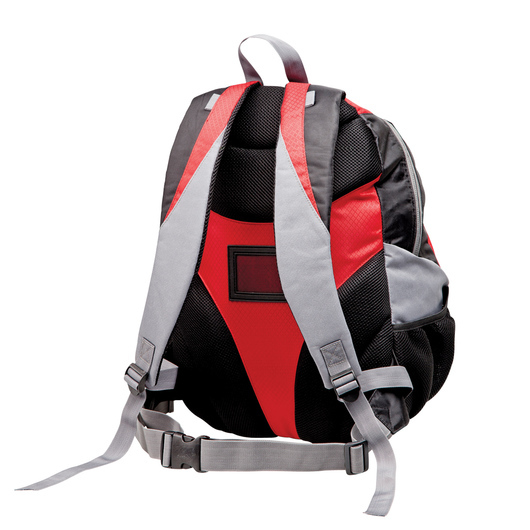 A well-built backpack for ease of handling and carrying comfort throughout your travels and outdoor adventures. 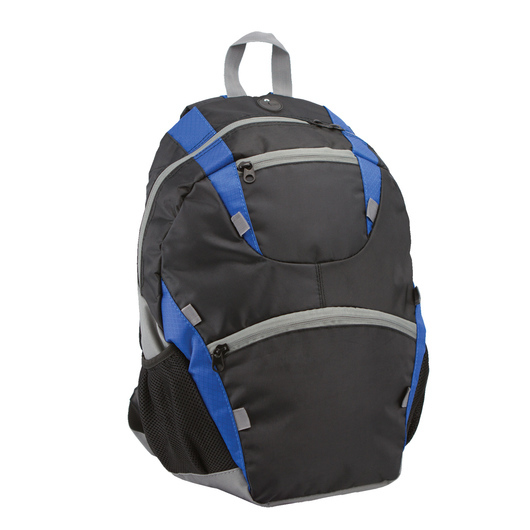 Organize your things securely with our casual and stylish backpack product. This backpack offers comfort and style compared to other backpacks. 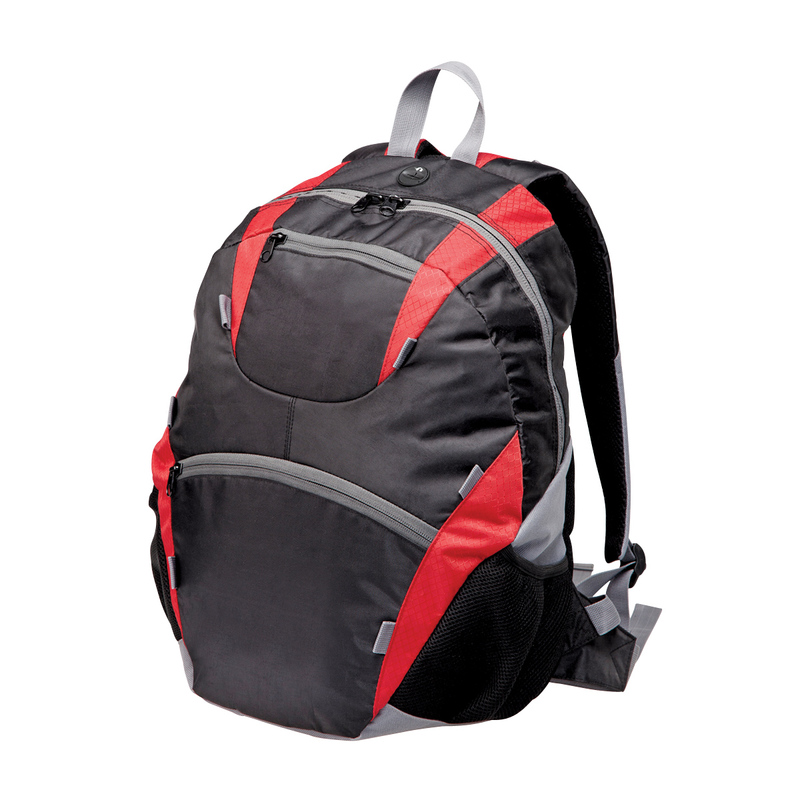 With its durable construction from 420D/diamond ripstop/600D polyester material, it allows a maximum of 20 litres carrying capacity. 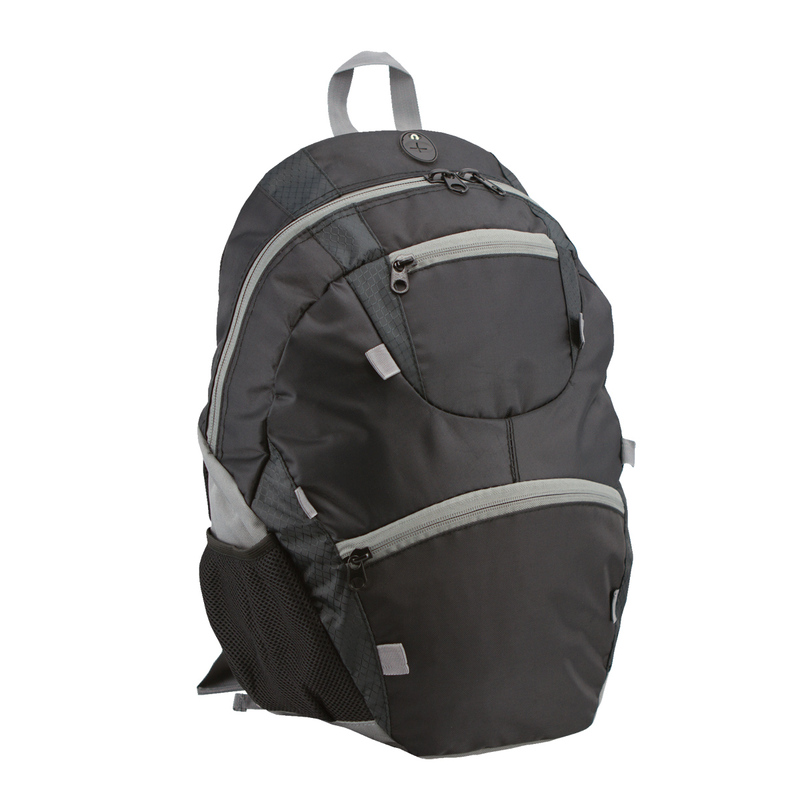 This backpack features: webbing carry handle at top, padded adjustable shoulder straps, waist strap with release clip, padded back, diamond ripstop feature panels, elasticated top air mesh side pockets, business card holder on back, two single zippered front pockets, and a large double zippered main compartment that contains slip pocket and rubber earphone outlet.